Two states — Colorado and Washington — have approved cannabis for both recreational use and medical use, an additional 18 approve the use of cannabis for medical purposes and an another 13 states have legislation pending. Regardless of a healthcare professional's position on medicinal cannabis or interest in prescribing its use, providers are expected by patients and the public to have the background necessary to provide guidance regarding the use of cannabis. Obtaining an education about a substance that is restricted, controversial and has few human studies on its use can seem daunting. While I hold a clinical license, I do not currently see patients. Because of my research in neurodegenerative disease and the visual system, I am frequently asked about the use of cannabis (medical marijuana). There are reported indications for Alzheimer's disease, Parkinson's disease and glaucoma, subjects which I research. And because its use was recently approved in my state, I found it necessary to seek a more formalized education in cannabis use in addition to reading evidence-based, peer-reviewed publications. I have found several groups that provide educational materials that are easily accessed on the Internet. One such organization is ProCon, whose website is set up to present comprehensive material on medical cannabis. I did not identify this website on my own, but read about it in another MultiBriefs Exclusive publication, "Cannabis craze: A pharmacist's take on medical marijuana," authored by Jason Poquette. Another useful website is Marijuana Policy Project, which provides background information regarding the financial issues and legislative issues around medical cannabis. 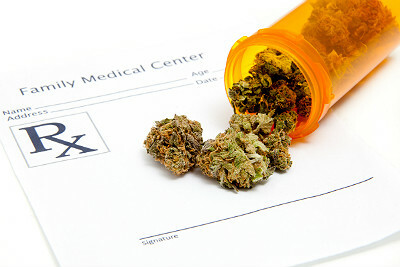 The American Medical Association is not yet supportive of efforts to legalize medical cannabis on a national level, but there are associations of medical physicians and advanced clinical practitioners that support the use of medical cannabis and offer continuing medical education on the topic. The Society of Cannabis Clinicians, the American Academy of Cannabinoid Medicine and the American Cannabis Nurse Association are three such organizations, and all three have preconference educational programs associated with the National Clinical Conference on Cannabis Therapeutics. Several states have developed programs for medical continuing education credits regarding medical cannabis. Many such educational courses are offered online, and some can be reviewed at no charge if no credits are sought. The one offered through the state of Massachusetts is AnswerPage, and Arizona has a course offered through the University of Arizona Global Health Institute. The Arizona GHI medical marijuana course is impressive in that I found an immediate turnaround when I had questions. Dr. Cecilia Rosales, assistant dean of the Phoenix site, gave me the impression that the Institute is committed to providing quality, objective education around the use of medical cannabis and promptly addressed questions by email. There is a need for ongoing education around medical cannabis. In Colorado, where there is legal medical use and legal recreational use, members of the Colorado Academy of Family Physicians were surveyed in 2013. With a response rate of 30 percent, 46 percent did not support the recommendation of medical marijuana and only 19 percent supported its use. Threats to mental health were perceived by 64 percent and physical harm by 61 percent. However, 92 percent felt that continuing medical education is needed by family physicians. Washington, the other state allowing for recreational cannabis use, also has found a general belief in the need for education. Further, the states of Washington and Maine are working to provide cannabis treatment education to nurse practitioners. Maine currently has legislation pending to allow nurse practitioners to prescribe medical cannabis. Some states already allow this. Cannabis is the most widely-used illicit drug in the United States. Both illicit and legal use impacts the consumer, and healthcare providers need objective education in order to care for their patients.